Greetings fellow aficionados. New member but long time lurker. Came across a gem at Old Navy this past week. The classic polos that David favored in the Frugal Bond video - I came across the navy version now with navy buttons, even more so resembling the Sunspel. They also had a light blue with white buttons that almost mirrored Connery's Thunderball polo so I picked up a double bonus. For some odd reason the website doesn't have the polo listed with navy buttons but it's definitely in the stores! There is a new kid in the block with Mark Weldon, US/Canada only brand with the Vesoer Polo.. obviously I direct lift off the Sunspel Riviera. Actually quite 007 inspiration too! I'm going to have to think about including that one in the list. Obviously, looks-wise, it's a fantastic alternative. But, as you say, it's such a blatant rip-off the Sunspel and they're playing up the Bond connection so hard that I'm not sure if I'm comfortable with the ethics behind it. I mean, making and acknowledging that you're making an homage piece, the purpose of which is replicate the work of another designer, is one thing. Does anyone see what Mark Weldon is doing as any different? I'm going to have to think about including that one in the list. Obviously, looks-wise, it's a fantastic alternative. But, as you say, it's such a blatant rip-off the Sunspel and they're playing up the Bond connection so hard that I'm not sure if I'm comfortable with the ethics behind it. I don't see any reference to Bond on their website. Is it just Maxim that is making that connection? It's called the Vesper Polo, and almost every bit of press they've received includes mention of how the design was "inspired by the modern Bond's look." Again, it may just be me that feels a little weird about this. I mean, they're not the only company making a navy blue self collar polo with a chest pocket (as the IA Sunspel alternatives post clearly shows). But they are the only company pushing the whole 007 connection for a product that looks exactly like one made by another company that has profited greatly from its own real connection to Bond. Edit: Re-read my last sentence and realized it is probably the MOST confusing thing I've ever written. So, to simplify: copying the design of another company is one thing. But Mack Weldon is also trying to steal Sunspel's Riviera Polo marketing, piggy-backing on a reputation and relationship they didn't earn. That's what I'm uncomfortable with. I have no idea if they ever read this thread, but I'd be very interested to hear the opinions of Silverfinger and Indy on this. I agree, it seems they have taken the bond link too far....maybe they have just though "well, if TF can rip off Sunspel, then so can we", and perhaps they justify it as a mixture of the TF and Sunspel shirts. Indy Magnoli lives an hour away too, so can just pop over and grab a shirt from him for less too! Hah! Haden't looked at any of the other marketing. Guess they certainly are making the connection. Where? Cheapest I thought was out there was $95 from END. Sunspel will send direct to New Zealand for £68, (tax free) which is US$90.... Depending on exchange rates! I agree with canoe2, I love sunspel, they are a good honest company, offer a first rate service and tbh they aren't that expensive. The Sunspel riviera is a far superior polo than the tf one, at a fraction of tf price. This new mw polo may be a decent slightly more frugal option but they have unfairly used misleading marketing and are using sunspels marketing cues. CB0012: Welcome to the forums! I'll definitely check out those Old Navy polos! Anyone planning a trip to Cuba...? The shirt arrived in the UK in just 10 days. Not bad. Especially as it was delayed by Her Majesty's Customs and Post Office. The shirt is designed to be worn loose and has a straight bottom/hem. The buttons are made from bamboo but could easily be changed to white to reflect the original if needed. The pattern on the pocket matches the pattern on the shirt and the colour is less dark, slightly more mid-blue than the website picture suggests. Sizing - this is a large, loose fitting shirt. Check the size chart before ordering. Overall, I'd say this is a very comfortable, quality made shirt and excellent value for money. In my opinion, this is about as close as we'll get to the Cuba shirt and certainly offers the same look. UNCLE27: looks great! You okay with James Brosnan or me adding your pics and review to the post? Updating some older posts with new options. Should have some ready for a little weekend reading. In the meantime, Civilianaire is having another big blow out. Not really Bond related, but a lot of people here bought stuff in the last sale. The feeling is the style comes close to what DC wore in TGWTDT. I bought a couple of their henleys and t-shirt. Really like them! Yes, of course, feel free to use this material as you wish! I have posted a shorter comment and link but adding this in would be better. Thank you sir! I will get that done ASAP. Updated posts coming soon. In the meantime new post is up. Hope folks find it helpful (I definitely learned alot writing it). What's the fit like because according to the size guide I should order a M but I am normally an XL. Do they fit larger? Yes. I ordered a medium which I'd say is more like an XL fit. I'd normally wear a 44" suit / 17" shirt. 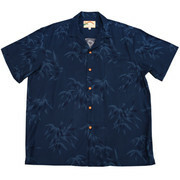 This is designed to be a loose fitting tropical shirt. I am happy with the M, it fits well and was the right choice. Definitely check the size chart on this shirt and choose wisely. Sounds like you are about my size so thanks for that info! And a very nice new "Best Option" for the TF QoS Cardigan! And someone left a new suggestion for the BC Linen Blazer in the comments ("Nick"; not sure if that's someone here?). It's from H&M BUT sizes are going FAST! Thanks for the new recommendations! I just ordered the blazer from H&M UK. Will order the tie next! I'd like to try out the Jaeger sweater. However they don't ship to the USA. Any of my UK brethren willing to help me out? I've just ordered the H&M linen blazer mentioned by canoe2 from the UK H&M site. If you're going to order one save a few quid by signing up to their newsletter and get 25% off one item. When it arrives I'll post a quick review. Well that's weird. It was working when I tested it yesterday morning, but now the "Color" option has disappeared, which I think is stopping us from selecting the size. Sorry about that guys!